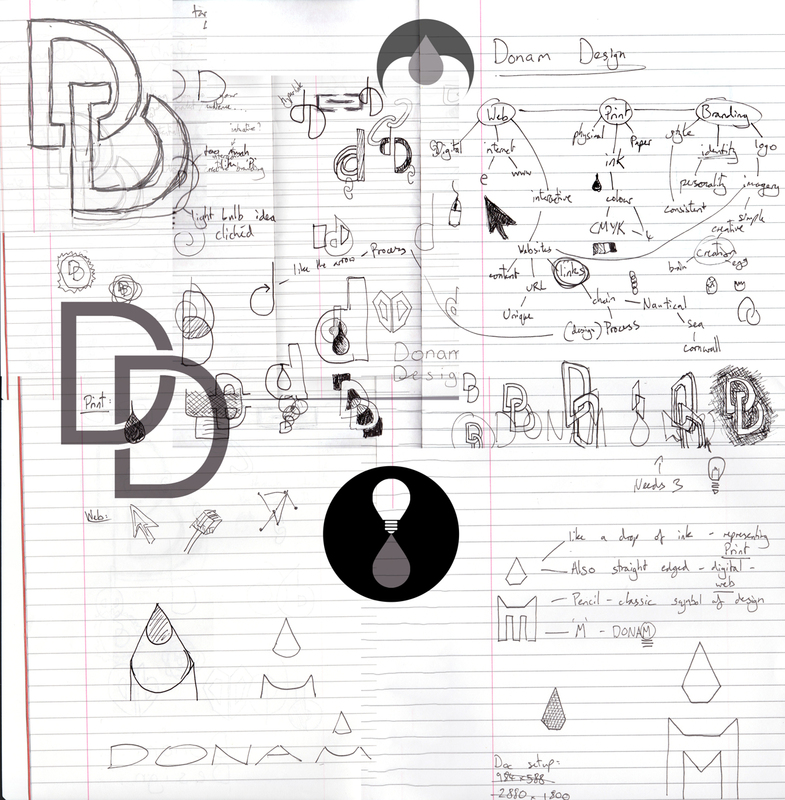 Brand Identity for our Design studio “Donam Design”. 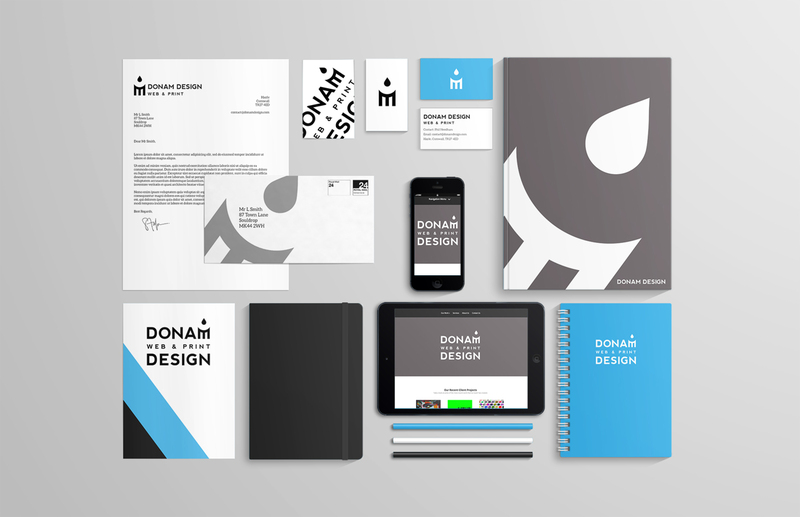 Features a negative space pencil – the international symbol for design. 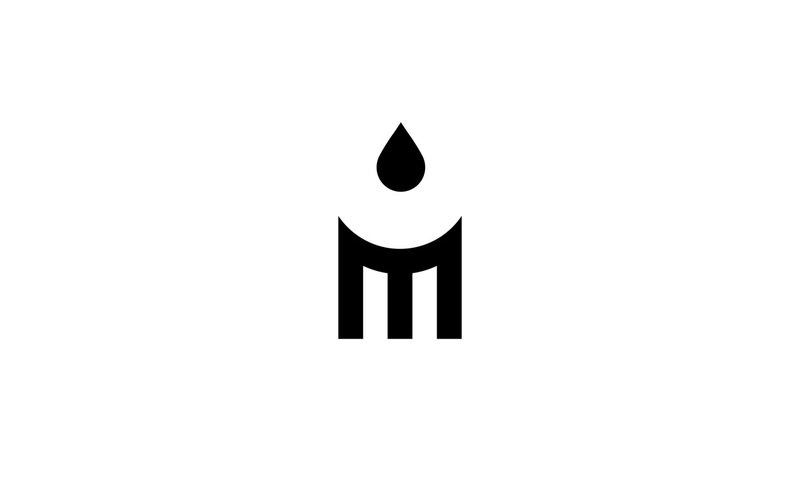 The teardrop shape can be interpreted as ink, ie. print. 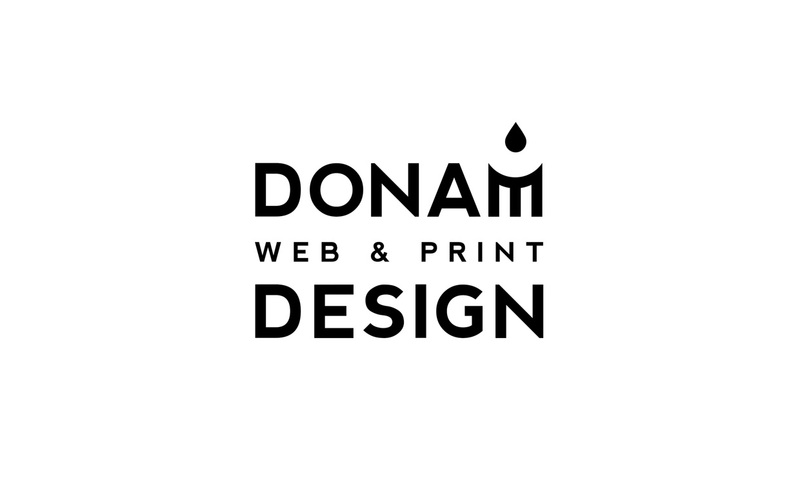 This shows how we can produce a logo/brand identity and also the range of products that we can help produce designs for printing on. 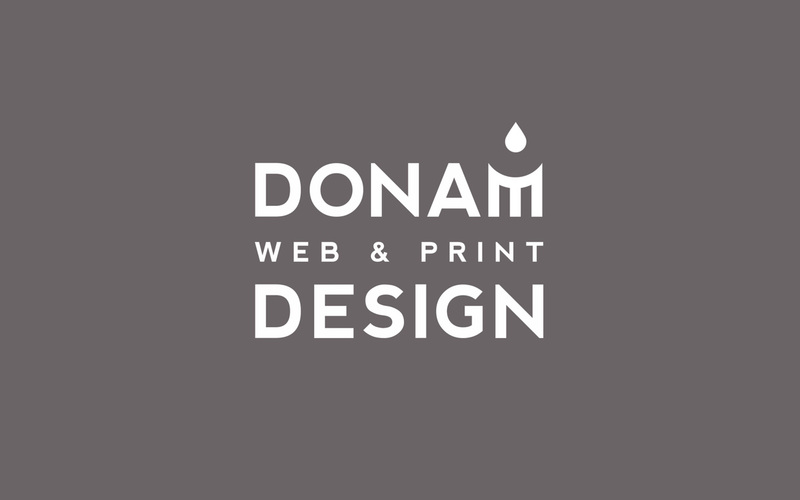 If you would like to discuss how we can help you with designs for any printed materials please get in touch.